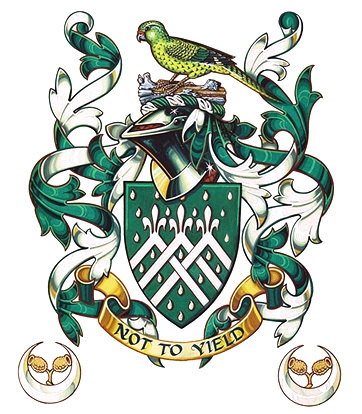 The College of Arms, 4 June 1985. For a badge: Within the horns of a crescent Argent a sprig of two gum nuts of the Spotted Gum Tree (Eucalyptus maculata) Or. Artist: John Bainbridge.